The college had been established in 1999, propelled by the need for an institution of higher learning in the area. The philanthropic contributions of local residents and educationists enabled the construction of a one storey edifice. This humble beginning has eventually led to the development of separate multi-storeyed buildings for office, academic, vocational and residential purposes. 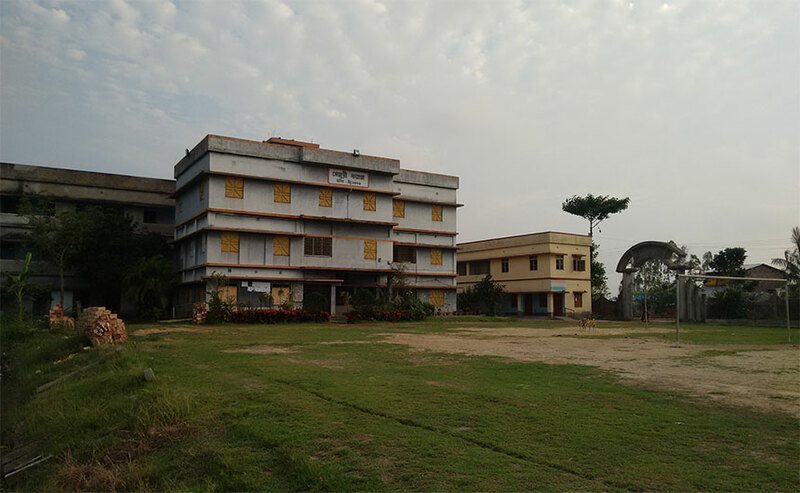 In the initial years, it was guided by Dr. Ramchandra Mondal as a Teacher-in-Charge till Dr. Asim Kumar Manna took over as the Principal in January, 2001. Under his leadership, the college has blossomed into a proficient workshop of man-making. It has not only fostered the study of humanities but also diversified into science subjects like Aquaculture, Zoology, Botany and Anthropology. It has focused on a holistic view of education and hence has fruitfully nurtured departments of Music and Physical Education. The College has developed an active Vocational section, teaching courses on Computer, Electronics and Healthcare. It has also contributed in grooming the youth as patriotic citizens and has consistently engendered participants for the National Cadet Corps and the National Service Scheme.